I feel a bit sorry for hydroquinone. It’s the gold standard at treating dark spots, melasma and all kinds of hyperpigmentation. But, no one wants to use it anymore. It’s got its fair share of blame, though. It’s harsh like hell. It’ll take your dark spots away and leave you with irritated skin (no, not cancer – that’s just a rumour). No wonder we’re all looking for alternatives! There are aplenty. From retinoids to azelaic acid and arbutin, these days we’re spoiled for choice. What it is: a skin-lightener that occurs naturally in fruits, coffee and beer. It’s considered the gold standard for getting rid of any dark patches on the skin (hyperpigmentation). How it works: it inhibits the activity of tyrosinase (the enzyme that controls the synthesis of melanin) and increases the cytotoxicity of melanocytes (cells that produce melanin). Concentration: 2% in OTC products, 4% in prescription products. Side effects: irritation and, in rare cases, ochronosis (gives skin a bluish tint). Ochronosis is very rare, but more common in people with dark skin. Best for: anyone with severe hyperpigmentation (if you have dark skin consult a doctor, first). What it is: made by bacteria during the fermentation process of rice in the manufacture of sake, the Japanese rice wine. How it works: it inhibits the activity of tyrosinase, the enzyme that’s responsible for the production of melanin. Concentration: it’s effective at 1-4%, but it’s often used with other skin lighteners, such as retinoids, glycolic acid or hydroquinone. Side effects: it’s less irritating than hydroquinone, but can still cause irritations and allergies. Best for: anyone with moderate to severe hyperpigmentation who can’t tolerate hydroquinone but doesn’t have sensitive skin. Related: Should You Use Hydroquinone Or Kojic Acid? What it is: an extract derived from bearberry leaves. It’s nicknamed “natural hydroquinone” because it has a very similar chemical structure. How it works: arbutin turns into hydroquinone in the body, inhibiting the production of tyrosinase and interfering with the maturation of melanosomes (organelles involved in melanin production). Concentration: it’s effective at 5%. Side effects: high concentrations can cause post inflammatory hyperpigmentation. Best for: anyone looking for the benefits of hydroquinone in a less irritating, more natural format. What it is: a skin-lightener produced by a fungus, Pityrosporum Ovale. When it infects humans, it lightens patches of skin. How it works: it inhibits the activity of tyrosinase and kills abnormal melanocytes. Concentration: 15-20%. This concentration is as effective at 4% hydroquinone (but a lot gentler!). Side effects: it’s one of the gentlest skin-lighteners available but can sting and cause redness in some very sensitive people. Best for: anyone with moderate to severe hyperpigmentation who’s looking for a gentler alternative to hydroquinone. It’s suitable for sensitive skin, too. Related: Paula’s Choice 10% Azelaic Acid Booster Vs The Ordinary Azelaic Acid Suspension 10%: Which One Is Better? What it is: a form of vitamin B3 (also nicknamed nicotinamide) naturally found in many plants. How it works: it inhibits the transfer of pigment to the skin. Concentration: at 4-5% concentrations, it’s a good alternative to hydroquinone. It is often used together with other skin-lighteners. Side effects: may cause mild irritation, but it’s rare. Best for: anyone with moderate hyperpigmentation looking for a gentler alternative to hydroquinone. What it is: retinoids are forms of vitamin A that can treat hyperpigmentation, wrinkles and acne. OTC examples include retinol and retinaldehyde while prescription forms include tretinoin, isotretinoin and adapalene. How it works: retinoids are multitaskers. They speed up cellular turnover (the skin’s natural exfoliating process), reduce the amount of tyrosinase the skin produces and interfere with the transfer of melanin to the skin. Concentration: it depends on the type of retinoid. Tretinoin, for example, works at 0.05-01.%; Adapalene at 0.1-0.3% and retinol at 4%. They work faster when used with other skin-lighteners. If you use them alone, it can take a few months to see a small improvement. Side effects: all retinoids can cause stinging, redness, irritation and dryness. The stronger the form of retinol, the worse the side effects (that’s why some forms are available only by prescription). Best for: anyone (bar those with sensitive skin) looking for a treatment for both hyperpigmentation and wrinkles. What it is: a powerful antioxidant found in many fruits and vegetables, including oranges, lemon and strawberries. L-Ascorbic Acid, the pure form, is the most effective but the most unstable (i.e., it loses its antioxidant and skin-lightening powers quickly). How it works: it fights the free radicals that cause darkening of the skin. Concentration: L-Ascorbic Acid works at 5% concentrations. Magnesium Ascorbic Phosphate, a derivative of vitamin C is effective at 10%. Both are less effective than hydroquinone (but gentler). Side effects: it’s one of the mildest skin lighteners but can still irritate sensitive skin. Best for: those concerned by mild pigmentation and wrinkle-prevention. 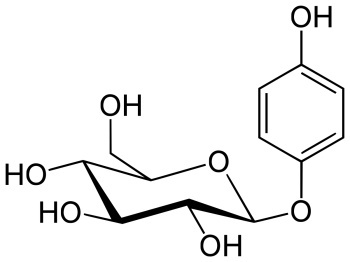 What it is: part of the Alpha Hydroxy Acid (AHA) family, glycolic acid is derived from sugar cane. How it works: it speeds up cellular turnover and disperses basal layer melanin. Concentration: 5-10% in OTC products; 20% and higher in peels. OTC concentrations work best when combined with other-skin lighteners. Peels work better and faster but they should be administered by dermatologists. Side effects: It depends on the concentration. The higher it is, the more irritating it gets (that’s why you should never do peels at home!). Best for: mild to moderate hyperpigmentation. What it is: an extract derived from the Glycyrrhiza Glabra plant. How it works: licorice extract contains glabridin, which inhibits tyrosinase and prevents UVB-induced pigmentation, and liquiritin, which disperses and removes melanin. Concentration: studies were done at 10% and higher concentrations (skincare products contain A LOT less! That’s why it’s best to use them with other skin-lighteners). Side effects: it’s one of the mildest skin-lighteners. It has soothing properties, too. Best for: sensitive skin with mild to moderate hyperpigmentation. What it is: a derivative of hydroquinone. It’s also called hydroquinone monomethyl ether and p-hydroxyanisole. How it works: it seems to work like hydroquinone, by inhibiting the activity of tyrosinase and increasing the cytotoxicity of melanocytes. Concentration: 2%, often used with 0.01% tretinoin. It’s as effective as hydroquinone. Side effects: it’s less harsh than hydroquinone, but can still cause irritations in some people. In some cases, it can cause temporary postinflammatory hyperpigmentation. Best for: those with severe hyperpigmentation looking for an alternative to hydroquinone. Told ya, you were spoilt for choice! Don't know how to best actives for sun-damaged skin fit in your skincare routine? Get the cheatsheet and find out! Success! Now check your email to confirm your subscription and received the "Best Skincare Routine For Sun-Damaged Skin" cheatsheet. Thank you for such an informative and easy to understand post. Age spots are the bane of my life and my ageing skin is getting dull and losing its elasticity; hence, lately I have been looking for products to deal with these issues. Right now, for age spots, I am alternating an AHA lotion and a retinol essence (both from a Japanese brand called Tunemakers) – both I use at night. I also use an arbutin face cream (from Oliv’ Bio) nightly. During the day, I do not go out of the house without sun protection. Hydroquinone is banned in beauty/cosmetic products in Japan. Thank you for an informative and easy-to-understand article. As I age, I am concerned with age spots on my face and the lack or decline of skin elasticity. Hence, these days I look for products that address these issues. Right now, I’m alternating an AHA lotion and a retinol essence (both by a Japanese brand called Tunemakers) at night. I also use an arbutin face cream (Oliv’ Bio) nightly. During the day, I do not leave the house without sunblock. I don’t know if you are aware of this but hydroquinone is prohibited in beauty/cosmetic products in Japan. JD, I knew that hydroquinone was banned in some countries, but in small concentrations and under supervision, it shouldn’t do any harm. Politicians aren’t scientists and they don’t always make decisions based on scientific studies. Having said that, there are many alternatives to hydroquinone these days that work very well too. Hippo, yes, mequinol is safe. But dark spots are caused by many things. Mequinol can help fade those you have but if you go out in the sun without sunscreen, get pregnant or use some medications that can cause hyperpigmentation then dark spots can come back. Love this article. Right now my nighttime routine is alternating between NeoStrata Secure White and The Ordinary 7% Glycolic and I’ve seen some improvement in the last couple months, but my melasma is still hanging around. Will definitely look into these items! Thank you! Marissa, unfortunately melanoma takes a long time to go away. 🙁 Hydroquinone is the one that works the fastest but definitely experiment to see which treatment your skin reacts best to. Does that mean anything under 5% would be ineffective? AG, potentially yes. The studies I’ve found used arbutus at 5% concentrations or higher. Lower concentrations may not work as well. Hi Gio. Wonderful article, as always. Can you use 2% otc hydroquinone and TO alpha arbutin layered the same night? Thanks, dear! Chinitapr, I wouldn’t. Just choose one exfoliants and stick to it. I understand you want to get rid of the hyper pigmentation fast but doing too much too soon can cause more problems than it fixes. Hi gio,it was an excellent article but I want to know a safe alternative to hydroquinone for my post inflammatory pigmentation? I am currently using a 12% Glycolic acid daily for a week and it has shown little to no improvement (I know 1 week is too less a time for the poor GA but I need an alternative in case it doesn’t work even after a month). Is kojic acid as effective as hydroquinone?what percentage should be used?And IS KOJIC ACID SAFE? Ajay, kojic is safe but less effective than hydroquinone. I’d personally look into azelaic acid first. What is the strongest and best alternative if u can’t use Hydroquinone based on the list of products you listed? Are they in order of effectiveness? Rebecca, no, they aren’t in order of effectiveness. That’s cos different skin types react differently to different ingredients so it’s hard to put them in order. Niacinamide, vitamin C, retinoids and glycolic acid are the mildest alternatives. If the discolouration is just beginning to appear, this is what I suggest as first line of treatment. Everything else is more heavy duty for those who need the extra help. But you’d have to experiment to find out what works best for you. 5% arbutin is safe or causes any side effects on long term use on face. Bhime, unless you have an allergy to it, it’s safe. My dermatologist has me using Obaji (hydroquinone) for my age spots. I tolerate it just fine. I was going to ask her about using arbutin instead because I saw there are countries that ban hydroquinone, but your info seems to point to it being okay if tolerated well. In your opinion is there any good reason to change to arbutin if I do well with hydroquinone? Myra, there’s evidence that hydroquinone works better in 4 months cycles, i.e. 4 months on hydroquinone, 4 months on something else (like arbutin) then back to hydroquinone for 4 months. In this case, the switch makes sense. But I wouldn’t switch permanently. Dear Gio, thank you for this amazing post. I’m a Asian with medium-brown skin tone. I do not have hyperpigmentation but I’ve always wished to achieve a fairer skin tone (1-2 shades lighter). Which skin lighteners should I go for? My skin type is dry and matured. Thank you, Gio. Tan, I do understand that in your culture, fair skin is the idea. But skin-lighteners are for people with hyperpigmentation. They can’t be used to achieve a fairer (1-2 shades lighter) skin tone. Products that promise you that are often full of toxic chemicals so please don’t fall for them. First off, respect to you for making the science behind beauty products so accessible. Second, a request. 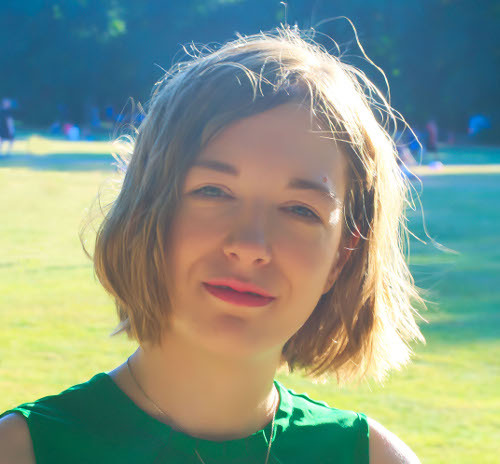 Can you recommend additional hydroquinone products, as the two you mention in various posts are no longer available in the UK. Yem, thanks so much for your support. Hello Gio – Great info! I would like to lighten a cafe au lait birthmark on my face. I have been told it is very risky for me to do laser treatments because of having brown skin. The doctors say that the lasers might darken the birthmark. So I have decided to lighten it as much as possible but I would like to do so without using hydroquinone. I have used hyrdoquinone in the past and it worked fine but once I stopped the birthmark got darker. 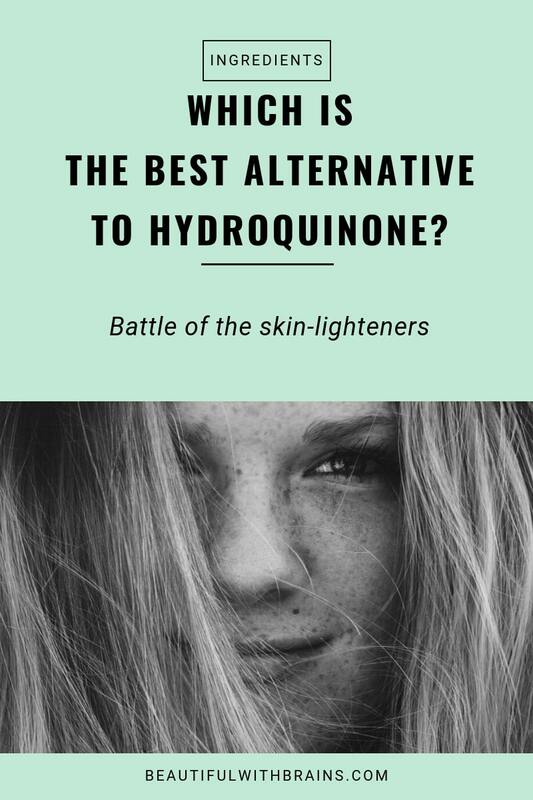 Which alternative to hydroquinone can I use long-term to lighten the birthmark and keep it from getting darker? Ann, I don’t really recommend lightening birthmarks because they’re not flaws and there’s nothing wrong with them. Why mess with your skin when you don’t have to? Hello Gio, your post has amazing info!! I would like to know can retinol burn your skin?? I suffer from PIH/melasma so I started using retinol once a week and increased to twice a week. Initially the skin looked good but after a month’s use my skin got darker than before even after religiously using sunscreen every single day. Does it mean that retinol is not for me? What would you suggest to use? Taj, mmm that should not have happened. Did you reapply sunscreen regularly during the day? If so, then it may be better to switch to another form of vitamin A, like retinaldehyde and see if your skin likes that more. this past january I did a 35% TCA peel, which left me with scars and brown spots. Is Mequinol 10% ok to use? 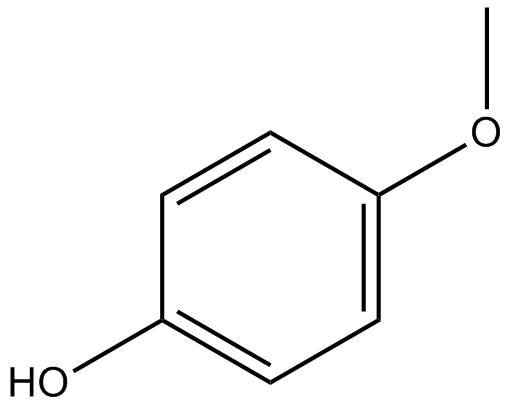 (leucodinine -M). I hope it won’t cause permanent scarring or depigmentation. (i’m so overreacting now, but I can’t help it. I used to have a beautiful skin, and now it’s all botched.) Do you think it’ safe to use mequinol 10%? Brenda, oh no, so sorry to hear that! I believe Mequinol 10% is prescription only? your doctor will be able to tell you how to use it to avoid side effects. hi Gio, thank you for the information! I have been using HQ to treat some dark spots for a month now (I use Paula’s Choice triple-action dark spot eraser, apply it one time at night, SPF/avoid sunlight during the day), but actually noticed that my dark spots seemed to get a little bit darker. I am Asian with light skin, and wasn’t using it for a very long time, so I don’t think it is Ochronosis. I read in some places that dark spots may get darker before they fade, because melanin was pushed to the surface of the skin and made it more noticeable. I wonder if you think this theory is correct? Also, can I use HQ with niacinimaide? I feel that If HQ is pushing melanin to the surface of the skin, and niacinimaide works by inhibiting the transfer of pigment to the skin, the two seem to cancel each other if using together, just by theory. Am I right on this? Thank you so much! Pam, it’s more likely that hydroquinone is irritating the skin and that’s what’s making it darker. Try switching to a gentler alternative like arbutin or azelaic acid and see what happens. Hi this post was really helpful and informative, thank you for spending so much time on it, but there are so many choices, I don’t know which one to use. I am a teenager and I have pretty oily skin with acne scars, which products or a combination of them would you recommend. My skin is not really that sensative. Amy, these options are for dark spots/melasma, If you have acne scars, you need to see a dermatologist. I am using Azelaic acid 20% and tretinoin 0.5 togethar for lighten my skin tone , How many days need to see resul and what is the best way to use those cream ? Chayon, are these prescription products? If so, you should ask your doctor how to use them for best results. You should start to see a small improvement within a couple of weeks, but it can take months/years to lighten dark spots. Is Salicylic acid 6% in Glaxal base is helpful to reduce my severe hyperpigmentation? Syed, glycolic acid is better for hyperpigmentation. Hi Gio, I love your website anyway. I have a question, can I combine Retinol + Arbutin? what the best concentration with prescription? Leila, yes you can. With retinol, start with the lowest concentration you can find and build up dose gradually. Otherwise, you’ll just dry up your skin and create a new problem.